There’s nothing like facts to support stepping into new or unknown territory. 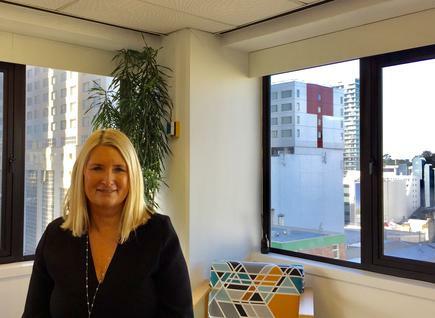 Sonya Crosby smiles at comments, such as above, that she gets when people learn she is the chief innovation officer at SkyCity Entertainment Group. 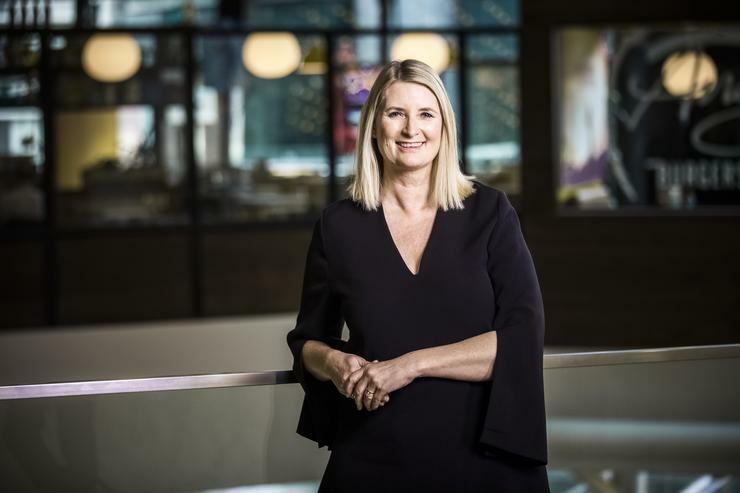 Crosby took on the new C-level role at SkyCity in January 2016, coming from Fonterra, where she was general manager - digital innovation. “We have a board that is forward looking and saying, 'Look we know we are a successful business today but how can we be sure for the long term we can sustain shareholder value and growth? We need someone looking at that,'" she says, on the driver for the creation of her role. “We are a long-term business,” she adds. “So how do we build and create new business growth for the long term? Where will we be in 10 years? Those are the questions I am asking. “How do we attract and retain our customers, both now and in the future? How can we create connections that meet and exceed customer expectations? How do we ensure our efforts are focused on sustainable commercial returns? “My role is a strategic driver to our business, using customer-centred design and innovation to grow revenue and shareholder value,” explains Crosby, who reports to the CEO. 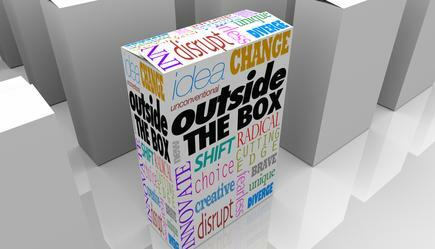 “When you think about innovation, it is not just about opportunities for marketing, technology and operations. It involves everyone,” she says. The role, she says, involves being catalyst, curator, facilitator, investigator and futurist. What is desirable for our customers? What is our current capability - what are we good at, what do we need to be good at? What is the commercial opportunity for the business? “Those three components come together, that is basically how we view opportunities,” she explains. “And then, within that, we look at how do we determine what we spend our time on? “There are lots and lots of ideas out there. You need to create a strong framework to test ideas in the right way to make sure that they are good for our business. It has to have a real purpose and reason. “There is a solid way of going about it to make sure you get the best out of it. And, if the whole organisation is trained and is doing it this way, magic will happen." Sonya Crosby, chief innovation officer at SkyCity, will deliver the keynote address on ‘Enhancing the customer journey via the rise of machine learning and advanced analytics’ at the inaugural Chief Data & Analytics Officer New Zealand conference on November 28 and 29 at the Hilton in Auckland. Crosby brings to SkyCity a range of experience in different sectors. Her earlier career includes a focus on data driven and customer oriented businesses, holding executive roles with Datamine and Affinity ID and, earlier again, in senior management roles with a range of organisations in New Zealand and abroad including McCann Global and Saatchi & Saatchi. She is one of the founders of the Wynyard Innovation Neighbourhood. This is a collective of like-minded, non-competitive companies who have come together - in a geographic location, the Wynyard Innovation Quarter - that have agreed “to collaborate for a better New Zealand”. SkyCity is a member of the group, which includes Spark, IAG, ASB, Datacom, Fonterra and Air New Zealand. Cross-industry experiences are valuable, she says, on the discussions she holds with other members of the group which are all off the record or under Chatham House rules. Crosby also shares her insights on innovation and digital transformation with other organisations. 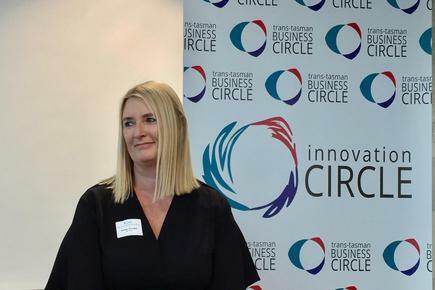 Recently, she spoke with government agencies about their activities at the Wynyard Innovation Group and with the Trans-Tasman Business Circle. “Around New Zealand, it is hard enough competing globally, so let us help each other a bit more,” she says, on why she finds time for these discussions. As she puts it, there are only two types of businesses. “Those who are being disrupted and know about it, and those who are being disrupted and have not yet realised it. What is important, she says, is to recognise that disruption is happening and it is coming fast, and then start thinking about scenarios for your business. “What is changing around you? If you fast forward and you start to do some future scenarios, what might that be for your business? In the case of SkyCity, she says, “You need to be thinking about scenario planning, understand who the customer is, understand what will people want in 10 years for entertainment. What will be considered fun, how will people spend their time and what role could SkyCity play in that? She says her team also looks at adjacent things, those that are close to their current capability, but also at the “uncomfortable brand, new blue-sky space”. The team work at The CoLab, an open plan office on Wellesley St, behind the SkyCity Grand Hotel. 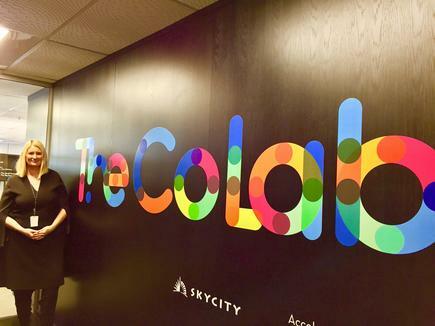 A lot of SkyCity staff and group functions also use the CoLab for planning sessions. Crosby leads a small team that includes the head of customer experience, head of design, programme manager (who oversees their activities “to make sure we stay on time and on budget”) and partner manager. The latter looks at how they can team up with other companies to “accelerate opportunities”. For instance, instead of working on the tourist markets on their own, SkyCity will team up with other partners like Air New Zealand. She works with social anthropologists who have “fantastic skills” on really understanding behaviours and triggers of customers, particularly when they are mapping the customer journey “end to end”. “We start with understanding the customer, understanding the pain points and opportunities,” she says. The innovation team investigates and develops concepts. It then works with cross functional teams to take these through to prototyping and minimum viable product, to test the benefits for the business. This is especially important for people involved in service and operations, and basically all hotel staff. “They are involved right from the beginning and all the way through, and so are the technology teams,” says Crosby. The cross functional teams include business owners who will be owning the opportunity downstream along with technology solutions, delivery and maintenance. “In this way the operating framework and change management are considered throughout, and the handover is expected and planned for,” she states. “We have already seen some benefits for staff in simplifying systems, as we’ve moved through different iterations of prototypes. “Not all innovation is technology based,” she explains, “however, our full roadmap is shared for transparency so that staff from different areas can contribute their thinking." The company has developed customer panels at all their properties. “It is like a community panel, but it is for SkyCity,” she says. “They really care about having a voice and being part of trying new things." A group of volunteers, for instance, were among the first to test keyless entry to the hotel room. “When you think about hotels, one of the pain points is you arrive at the same time with other customers. You are bottlenecked trying to get in. The next morning, when you check out to get to a business meeting, you are all bottlenecked again trying to leave the hotel. “If you think about the fundamentals of the business and how to succeed in business, you need to understand who is your customer today, who is your customer going forward,” she says. There are a couple of technologies the innovation team is particularly interested in. One is mixed reality and augmented reality for both entertainment, and also for education, health and safety. The other is artificial intelligence (AI) for optimisation and “delivering a more fluid service”. These could be analysing data to better utilise their carpark space, understand and improve customer navigation on site, better tailor services for the hotel guests and simplify restaurant experiences. She says AI and technologies around data are not new concepts. “Even back in the day, you were still using data to understand and to optimise,” she says, referring to her previous roles across industries. The difference is instead of having static data that sits in a big pile and having someone to figure it out, today’s businesses are using “dynamic data”. She shares her experiences from across industries on how organisations can further harness data to grow the business and improve customer experience. Crosby says there needs to be a combination of the organisation’s own data and external data. “This is important as it helps you to know where you stand against industry benchmarks. "You need to understand the customer experience end to end not just when they are with you, but when they are not with you as well. "You need to be thinking about external data source. 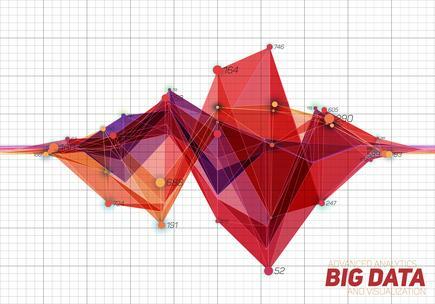 Because if you are only looking at your own data, you are only looking at what is in front of you. You could be missing the whole story. She says having this data-driven approach also helps identify where the company can grow, what trends are coming through and where to invest for best return. “Data ‘on the go’ helps you get your offerings ‘right now’,” she says. Dynamic data supports on the spot tailoring of services. These include simply being able to welcome a guest by name, through to language used, and even providing loyalty points at the car park. Look at every area of your business as if you were setting it up from scratch. She then talks about the human component involved in tackling the rise of digital technologies. “You have to get digitally literate across the business. It is not owned by one team, but rather by every single person in the business." “You have to empower and educate your staff to think and do within the innovation process and discipline,” she says. Form work groups tackle functional areas and together identify where costs can be reduced and new value created, she adds. Form alliances and knowledge sharing with completely different industries, she adds. Adaptability Quotient (AQ) is critical, she says. This is the ability to flex, to continuously learn. “Is your whole business digitally literate? Are you all thinking innovatively?"